Manhunt Int´l 2018: Spain is the winner! Manhunt Int´l Top 5: Philippines (4th), Australia (2nd), Spain (1st), Netherlands (3rd), Vietnam (5th). Spain claimed its first Manhunt International victory (2nd Grand Slam, the first one was Mr World 2007) in Gold Coast, Australia, on December 2nd. Vicent Llorach was the #1 favorite among most pageant fans and observers and certainly deserved its victory. Australia placed 2nd, followed by Netherlands in 3rd place, Philippines 4th and Vietnam 5th. Other Top 16 semi-finalists were Indonesia (popular vote), Belgium, Brazil, China, Japan, Lebanon, Nepal, Poland, Puerto Rico, Sweden and United Kingdom. Created in 1993, Manhunt International was the first big international male pageant to come to life. This was the pageant´s first edition after the passing of the pageant´s co-founder, Mr Alex Liu, which happened earlier this year. It´s now presided and produced by its other owner, Australian enterpreneur Rosko Dickinson. Twenty-eight countries participated in this year´s pageant. GB comment: Although Manhunt International has lost much in production value since the 1990´s and early 2000´s, the 2018 edition showed some improvement, including a live webcast with some quality, which was highly appreciated by the fans. 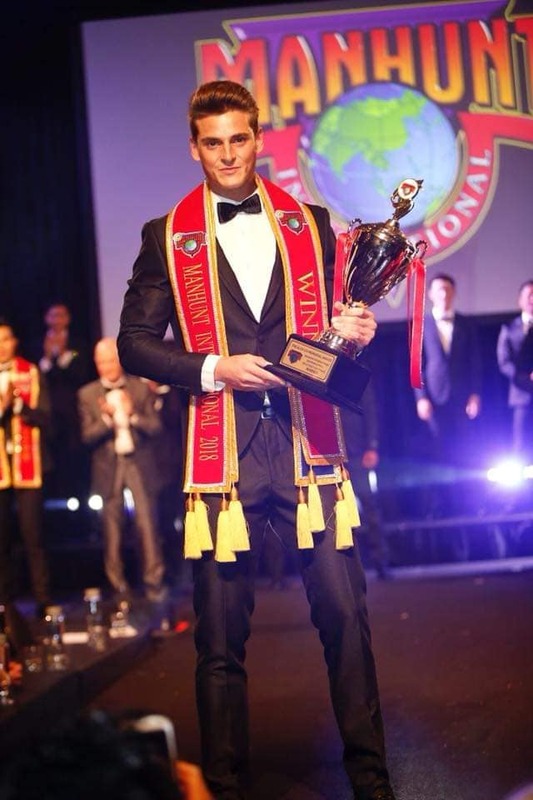 We know that organizers struggled with many national representatives having their visas denied by Australian authorities, but in the end pre-pageant activities in stunning Gold Coast, Australia, home also to the pageant´s first edition, were, so far, the best of the year in male Grand Slam pageants. The winner and most runner-ups certainly deserved to be up there, showing in overall terms fair results and credibility. But nothing is perfect, and there´s room for much improvement in terms of the final show production. We wish Vicent Llorach a great year ahead! !